What are the steps necessary to succeed in trading? I’ve asked myself that question numerous times, but I realized after interviewing some of the most successful traders, that there isn’t only one way to succeed in trading. The pieces of advice I hear are sometimes contradicting each other. There isn’t only one way to get results in trading. 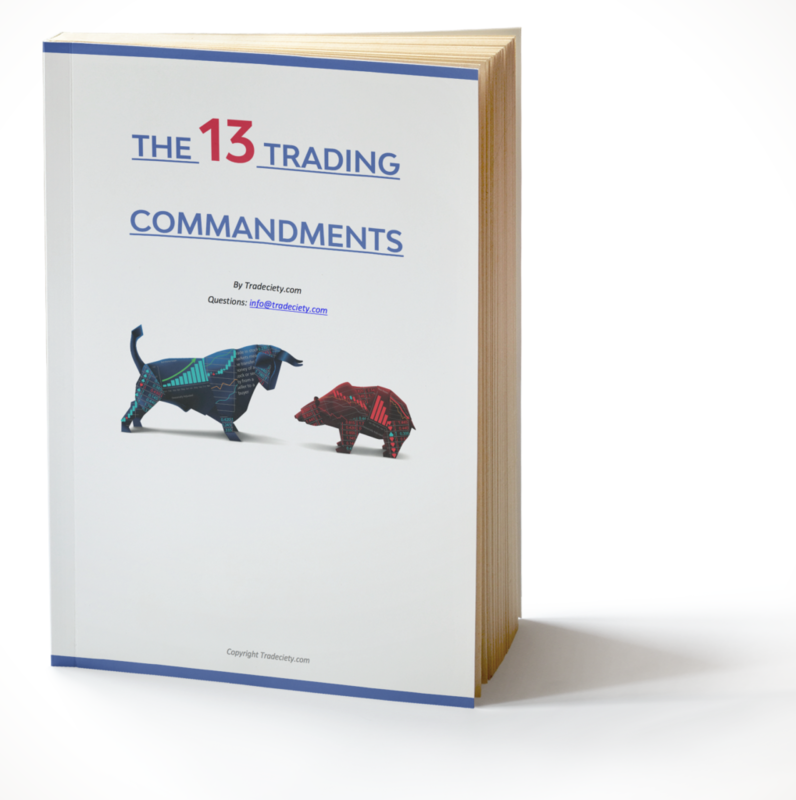 However, through my own trading and the interviews I’ve done, I began to understand that there were some commonalities among successful traders. Struggling traders very often ignore those commonalities, at their own fault. Is this the recipe for success? Not exactly, but it will surely help you get on the right track. The first key to quickly see more success in trading is to take full responsibility for whatever happens as you trade. See, successful traders understand that they are the only ones pressing the button to buy or sell. No one else is affecting them. As a matter of fact, a successful trader who makes a mistake has already acknowledged that mistake and is moving on. It’s over now, and the trader’s focus shifts on whatever must be done next. To bring the idea further, some people even identify the idea of taking responsibility for anything that happens as one of the habits of highly successful people. I’ve personally found myself getting mad at the market multiple times, whenever I’d lose control on my plan. However, I quickly realized that the only way to get back on track was to take full responsibility to get re-focused and turn things around. There simply isn’t any other way. Whenever I was trying a new trading strategy, the market gave me a rough time. Somehow the market would go against me for the first couple of trades, as if it wanted to test me and/or make me quit trading. I never forgot this, and you should do the same. Most inexperienced traders forget that they will be tested at first and that they must prove that they are successful traders. Until then, the market can be a very difficult individual to deal with. You will be tested. Whether that is through a series of losses, an expensive trading course that doesn’t give results, or something else. Fortunately, once you break through those test, you will become a more competent trader, and that will make a big difference. If trading were too easy, no one would make money. You know how it is when you have a trade open, right? All those thoughts come through your mind and you start to experience various feelings. Don’t try to suppress them! Whether we talk about fear, anger, worry, etc. Every feeling you have is telling you something, and you need to spend some time identifying how you feel to figure out where to go next. That means, although we cannot, as traders, eliminate discomfort, we can work on dealing with it. Instead of saying “I’m stressed, let’s close the trade!”, the trader needs to identify that he feels stressed. The key then becomes figuring out why that feeling occurs. Is it because the trade was taken with too much risk? Or perhaps because the trader isn’t clear about his plan? In both cases, something can be done to fix it and it’s the trader’s responsibility to define the right amount of risk and create a clear trading plan. On the other hand, the stress feeling could come from the fact that the previous 5 trades were losers, in which case nothing can be done. That’s how the market is sometimes. Knowing the reason why a feeling takes places has immense benefits because you have a clear insight on what you need to do next. As contradictory as it seems, you must go against your feelings in some circumstances. In fact, if what you’re thinking of doing goes toward your plan, but you don’t feel like doing it, you might be tempted to “fight” or “freeze”. Unfortunately, what you feel like doing, whether that is to pull the trigger or not, is rarely the optimal thing to do. For instance, closing a trade early as it starts getting profits might feel good because you would avoid any loss, but trading this way won’t get you very far. Similarily, keeping a losing trade open until it gets back on the right side seems awesome for a beginning trader…but it is a recipe to failure. This is where acting or staying still according to your plan (which is your right way to trade) becomes crucial. It might no be easy…I get it. It wasn’t easy for me at first, but meditation has been a very powerful tool to help with acting the right way. When you meditate, you force yourself to stay focused, and over time, you become better at not acting on every thought even though you feel like taking action. Meditation made its proof for multiple traders and it doesn’t have to be complicated. So go ahead and try some meditation! The problem I frequently see consists of struggling traders not being able to endure the growth process in trading. The desire to make money is constant in their minds and they can’t put it on the side to focus on the process. If you currently are not clear on the process to follow as you trade, I’d make it my top priority to figure it out and put it on paper. Then, destroy your expectations. Focus on executing your process no matter what. Know that you will make mistakes and accept them as inevitable. Make sure to take note of your mistakes though, if you really want to improve. I now trade for several investors, but I no longer think of myself as a perfect trader, nor should I. I know I’ll make mistakes and I accept that. I’m grateful for every mistake I make and I know that any lesson learned is a step forward.